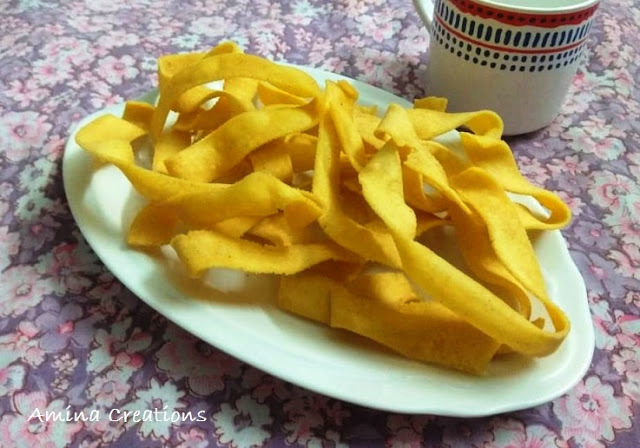 Ribbon pakoda is a crispy snack made by making a dough with Bengal gram flour and rice flour and then deep frying it in oil using a press with rectangular shape. This is an ideal evening snack that goes well with tea. You can also make this ahead and store in air tight containers..